The Trip to Ahobilam – Part 1 – My Story – ISB and beyond !!! 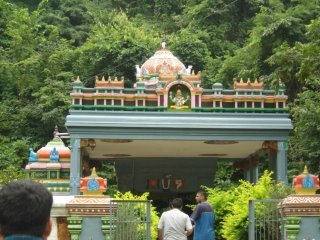 Ahobilam is located in Curnool district of Andhra Pradesh, about 380 kms away from Hyderabad in the Nallamalai Hills of the Eastern Ghats. 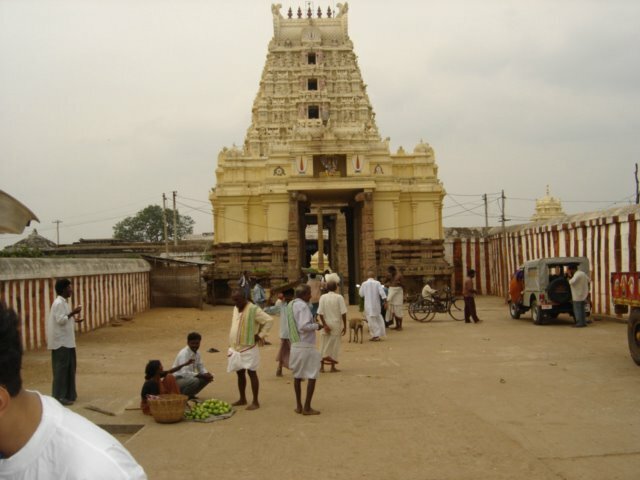 It is one of the foremost places of worship of Lord Narasimha, an avatar of Lord Vishnu. It is unique in the sense that it is the only place that enshrines nine forms of Lord Narasimha. Ahobilam is divided into lower Ahobilam and the upper Ahobilam. Upper Ahobilam is about 8 km away from lower Ahobilam. Ahobilam is also known as Ahobalam meaning great strength (Aho – great, balam – strength). 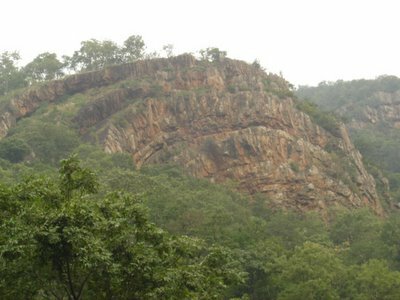 According to Hindu mythology, Nallamalai Hills is the personification of Adisesha, the great serpent bed of Lord Vishnu. Four important Shaiva (Lord Shiva) and Vaishnava (Lord Vishnu) places of worship are located in these hills – Srisailam (Shaiva) is the tail end, Ahobilam (Vaishnava) is the middle portion, Tirumala (Vaishnava) is the head and Srikalahasti (Shaiva) is the mouth of Adisesha. If you are going by road from Hyderabad to Ahobilam, places to watch for to check whether you are on the right route are Nandyal (former PM P.V. 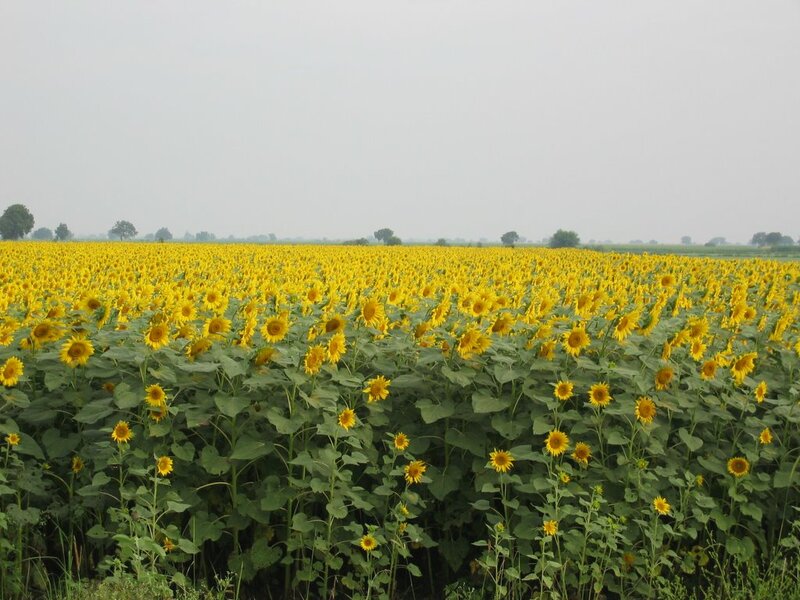 Narasimha Rao’s constituency) and Allagadda. Ahobilam is around 30km from Allagadda. Please look out carefully for the signs on the side of the road. They are very helpful in finding the way to the place. A few of us here, especially Murali & Rajani (full name is Rajanikanth, not the Tam hero though), had been planning to go to Ahobilam for quite some time now but the plans had not materialized due to the very busy schedule here. Finally, we decided that whatever the work load may be, we need to make the trip, even if we had to shorten its duration. So we booked a Toyota Qualis and decided to start just after midnight on the 2nd/3rd of Dec. Five of us – Murali, Rajani, Ramki, Kartik and I, finally left for Ahobilam on the 3rd at around 2AM. The trip involved some 6-7 hours of driving on the road. After a halt of about 1-1.5 hours inbetween for the driver to take some rest, we reached Ahobilam in the morning at about 10:15AM. The first thing that struck Murali on reaching lower Ahobilam was that the place had developed a lot since he had last come here in the late 90s. He was the only one in our group who had been to this place earlier. When you enter lower Ahobilam, the road kind of splits into two paths. The straight one leads to upper Ahobilam and the one to the right leads to the main temple of lower Ahobilam. It appeared as thought all that lower Ahobilam consisted of was the temple, shops surrounding the temple whose owners depended heavily on tourism for their existence, a few homes and a few guest houses. We took the road to the right and immediately found a guest house (Malola Guest House) run by Sri Ahobila Mutt on the right. We booked a room, took bath, had some food in a nearby canteen and then left for the main temple, a few yards down the same road. We had a good darshan of the lord of the temple – Prahladavarada Narasimhar and the goddess. Thereafter, we arranged for a local guide and started on the journey to upper Ahobilam. You need a guide if you are planning to visit “ugrasthambam” and “jwala narasimhar” (which I will describe later) in the jungles of upper Ahobilam as trekking to these places is very difficult and it might also prove tough to find the path to reach these places. You can do without a guide if you are planning to visit only the other shrines. On the way, we stopped at the “Karanja Narasimhar” shrine. The deity is installed under a “karanja” tree and hence the name. It is believed that Lord Narasimha appeared before Hanuman, who visited this place, with bow and arrow showing that he is Lord Rama himself. The idol depicts the same. We had the fortune of getting the “prasadam”. After this, we left for upper Ahobilam. Click here to access Part 2 of this post. Thanks a lot for sharing your trip experience Ram. Although I haven’t visited the place myself, I pray that Lord Narasimha may bless me that I may also do so someday. 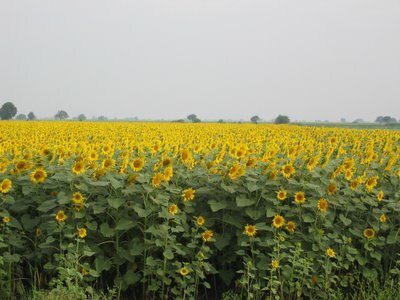 Those are some very beautiful pictures.I like the one in the fields!And very useful detailed information.Will be looking out for more on your trip..Cheers! By the way, have you visited Bilam Caves whoch were pretty near by to Ahobilam?? Awesome snaps! where are the other interesting stories? Assignments se loaded zindagi ne rest of the interesting stories ki waat laga di hai. Will post the rest of the remaining stuff as soon as possible. Nice pictures and a good narrative. I was looking for the meaning of ahobalam and found it. Thanks! Also new to me was the Karanja incarnation. Thanks for sharing. It could likewise be important that you tremble liquor first before pouring it onto a consuming cup.